The world and the mobility we enjoy has changed over time. We now live in a world where not everyone needs to have a car all the time but can use one for specific times that are necessary. Over the years there have been many in our population that have spent their lives living in big cities while relying only on public transportation. Now that there are mobility choices these folks can get away from their large city and take a ride wherever they need to go and one company is making it easier than ever for these folks to drive and enjoy the road. 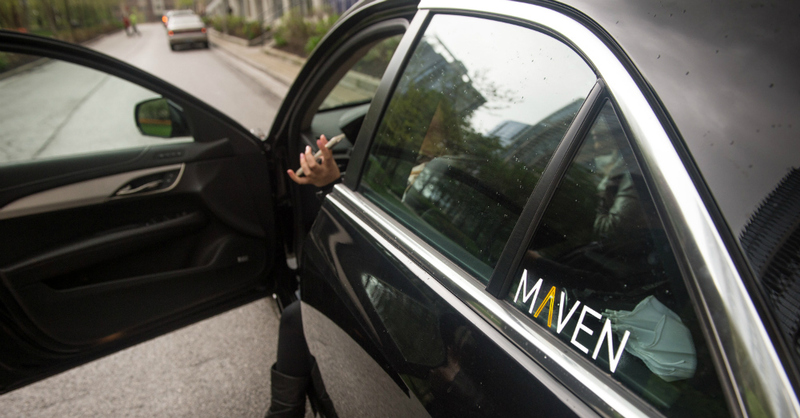 Maven is the GM ride sharing service that allows you to borrow a car for an hour at a time or longer when you need to. This company has already put many cars on the road that have been used by more than 25,000 people which have used these vehicles more than 32,000 times and driven over 80 million miles. This has given Maven a basis for creating the sharing service it offers and expanding it to give us more choices when we want to enjoy a drive in a Maven car for longer than an hour at a time. Recognizing there are many younger adults that have the disposable income to enjoy using a Volt or Tahoe, the most used Maven vehicles to date; Maven has created a new way for these folks who love to rent these vehicles a new way to enjoy the ride. Now, Maven is offering the opportunity for users to reserve a car for as long as 28 days at a time in order to have the vehicle for a longer time when they want to head out and have a great ride on the open road during a long road trip. This new program will be called Maven Reserve and as it launches this program will only be offered in Los Angeles and San Francisco with plans to expand based upon the response to this new program. When a customer rents a Maven Reserve vehicle for the four weeks offered they will have a dedicated parking space, insurance and $100 of gas that can be used. They will also be offered a personalized walk through of the vehicle to get familiar with all the features offered on their car that will give them the ride they’re going to enjoy. No longer do city dwellers have to stay in the city in order to enjoy the drive of a vehicle that can give them the freedom to head out of the city for a great ride. While most of the time these folks use public transportation the new Maven Reserve program makes it easy to have a great vehicle for several weeks when you need one at your disposal. This program could be coming to a city near you in the future and continues to make the ride sharing programs better than they’ve ever been. Maven Reserve may be the right way for you to have a great ride for weeks at a time in the future and be able to enjoy what Chevy has for you to enjoy on the road.